The practice of pediatric radiology involves the imaging of infants, children, and adolescents. In addition to common disease processes that affect children in the developed and developing world alike, there are a myriad of disease processes that are specific to children of the developing world. Diseases such as amebiasis, echinococcosis, and neurocysticercosis are seen frequently in the developing world; one should have a high index of suspicion of these diagnoses when evaluating imaging of patients from endemic regions. 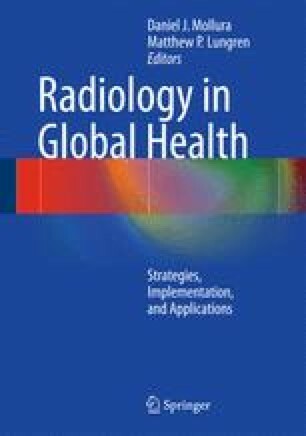 There are many elements that imaging can aid with in diagnosing these complicated disease processes; however, many challenges remain for the implementation of efficient and safe use of pediatric imaging in the developing world.